The publication of fifty letters related to the Polish-Kingdom and Silesia is just one though smali step on the long way to mąkę the entire corpus of Capistrano s correspondence widely available to International scholars and students. The research on the Polish-Silesian epistolary has allowed us not only to publish a fascinating source materiał, mostly unknown or little known, but also to open new promising perspectives for future studies. The group of original letters preserved in the Capestrano Library is of particular importance. They constitute an amazing collection of correspondence addressed to a single but extraordinary man by several individuals both key polłtical and ecclesiastical figures, such as King Casimir IV or Cardinal Zbigniew Ole śnicki, and burghers from Cracow and Wrocław. 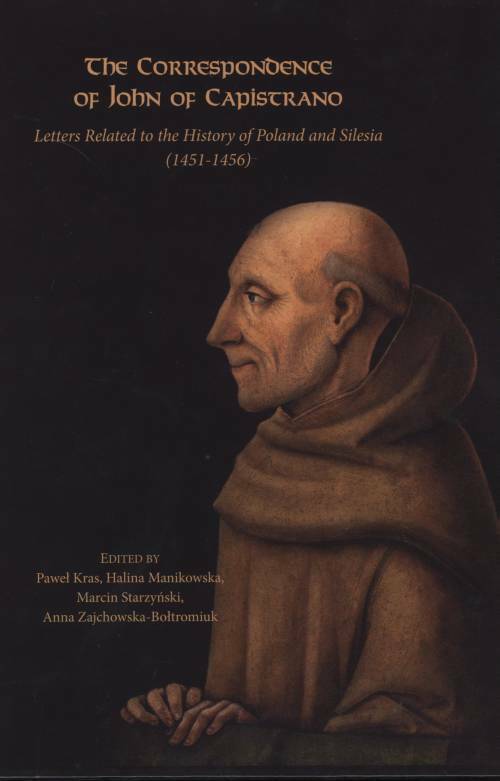 I hope that the publication of these letters integrated by the personality of John of Capistrano will offer a refreshing insight into political and religious developments in Poland and Latin Christendom around the middle of the fifteenth century.